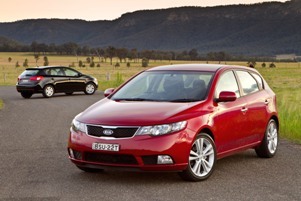 One of Australia’s most popular people movers, the Kia Carnival, will help one of Australia’s most popular heroes, Ben 10, move his famous time machine around the country. Cartoon Network’s BEN 10 LIVE: Time Machine features the world’s favourite boy-hero Ben Tennyson on an adventure through time and space to keep the Omnitrix and the Ultimatrix safe from the clutches of his foes. Keeping the tour staff and crew safe is a fleet of Kia Grand Carnivals and a Kia Soul. Over the next four months and 25 shows, the Kia vehicles are going to play a key role in shifting performers and staff around the country, travelling more than 20,000km in the process. “Last year we helped Dora the Explorer. 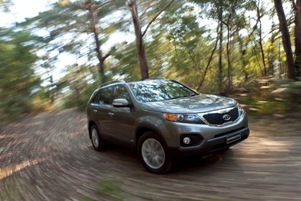 This year it’s Ben’s turn,” said Kia Motors Australia Chief Operating Officer, Tony Barlow. “These shows are so up-close and exciting and the stunts are spectacular. We are proud to be associated with such a professional outfit and understand the value in bringing these young kids and live theatre together in such an electronics dominated world,” he said. With great special effects, awesome costumes and super-cool stunts, Cartoon Network’sBEN 10 LIVE: Time Machine sees Ben Tennyson on a mission to save the past, present and future of the universe! The live tour which officially started on April 12 in Melbourne, will spend the next four months touring Victoria, Tasmania, Queensland and NSW. Ben 10 is one of Cartoon Network’s most popular TV programs viewed in over 2.9 million homes in Australia and New Zealand.